I didn’t expect Osasuna to be in the top 10 teams this season. Osasuna had a great defence a few seasons ago. After they lost Monreal and Azpilicueta, I didn’t expect them to do so well, but they have improved their attack and Raul Garcia especially has been pretty good. Borja Valero does need a change of scenery. Last I heard, he was linked with Malaga. He would be perfect there, playing alongside Toulalan. But breaking back into the NT would be hard though and I don’t see it happening, unless he plays for Madrid, Barcelona. IMHO, he would perfectly complement Xabi Alonso at Madrid, more so than Khedira anyway. But again, I don’t see that happening. Malaga would be the best bet on buying him, or maybe Atletico, if they don’t buy back Raul Garcia. I had Osasuna down as being a mid-table side again this season. Not going to treaten the top 10 but in no real dange of going down as their home form is usually very good. The problem for next season is not only Raul Garcia leaving but the fine margins they have. They win a lot games narrowly and score few goals. If those 1 goal wins turn into 1 goal defeats, they will be in a relegation scrap. 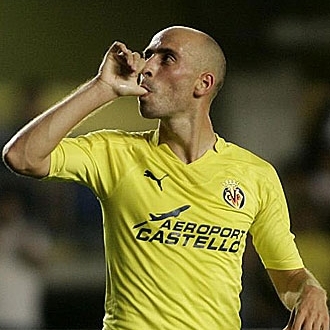 Valero has the ability to play for any team in La Liga albeit only a squad player at Barcelona or Madrid. With the changing priorities at Villarreal, hopefully he can get a move and recapture his best form sitting deep and constructing attacks. He is good further forward but not at his best.